Starter Task - Using the presentation and sound effects below and the worksheet above, complete the tasks as set out. Starter: Scroll through to slide 10 & 11 - Put the presentation on full screen and click here to access some associated sound effects (press play for both sirens, thunderstorm, monsoon & tornado - great mix!) Share your responses with the class. Objective: To find out how tornadoes form and where you are likely to see one. Task 1 - How are tornadoes formed? Use this great BBC Tornado Formation animation to help you to complete your Formation of Tornadoes worksheet. Add images and descriptions to show what happens at each of the stages of formation. Task 2 - How are tornadoes measured? Use this Fujita Tornado Intensity Scale fill in worksheet. The video to the right entitled 'Tornado Simulation' will help you. Task 3 - Where do the highest concentration of tornadoes form? Watch the two videos to the right hand side and fill in this sheet carefully using this map of the USA. Also, watch the final video (bottom right) and add any further detail around the map of USA on your worksheet. 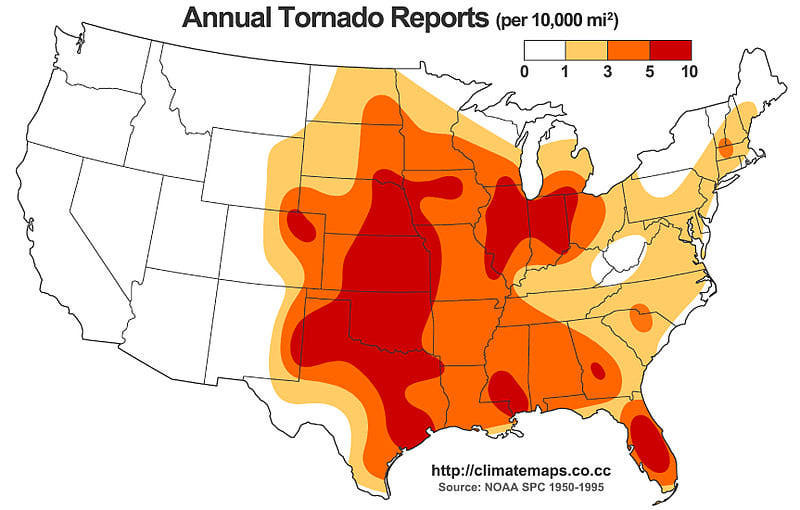 ​Tornado Records - How vulnerable is the USA? Tornadoes aren't just an American hazard. Toulouse experienced its own tornado at the end of April 2012. Some of the students from IST actually saw it. Talk about Geography in action!! Click below for a link to the story. Starter - Watch the two videos below to get a feeling for the type of person it takes to go chasing a tornado (most people run the other way!). Task 1 - What skills do those people need to get so close to the tornado? Write down your ideas on your worksheet. 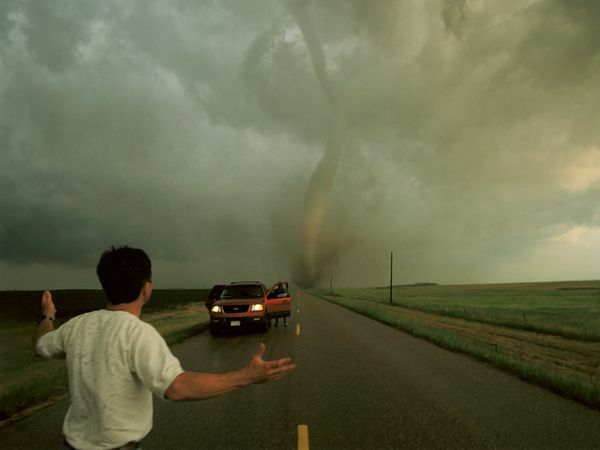 Whilst most people run the other way when a Tornado is approaching, some crazy people head straight towards them. These people are called Storm Chasers and they love getting up close and personal to this extreme weather event .... and they take tourists with them!! The following website might help you. Task 2 : You have to set up and advertise your new storm chasing company. You must choose a suitable state in the USA to set up your business (think about Tornado Alley). Enter this information on your worksheet. Step 1 – Produce an advert to put in the magazine 'Twister' for a new colleague to help you to storm chase. This advert should include details of the skills necessary to understand the formation of Tornadoes, to chase them and to keep customers safe. b. What are Tornadoes ? c. Where do they form ? d. Why do they form ? e. When do they form ? f. How are they measured ? g. Why do people pay to ‘chase’ tornadoes ? h. What vehicles you own and how they will protect you. i. How much does it cost for the experience ? k. Add a telephone number, email address or pretend website. Step 3 - Research and design your own Tornado intercept vehicle. Identify the features of the vehicle and design one to suit your own company. Download this instruction sheet to hand out to the class instead.